Fons & Porter sent me a copy of their Build your Best Log Cabin ebook for review. 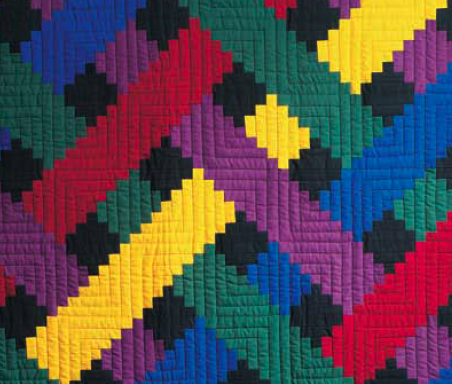 Log Cabin blocks are one of my favorite blocks, as they were the subject of my first 12 or 15 quilts! This 24-page ebook spotlights three popular log cabin blocks: traditional, courthouse steps, and chevron. It is a great resource for beginners and experienced quilters alike. Following instructions on how to assemble each type of log cabin block, you will find photographs of antique quilts, charts with strip measurements to help build various block sizes, and patterns by renowned designer Ricky Tims, as well as Shon McMain, Lori Christianson, and Marti Michell. As a bonus, you get instructions with step-by-step photographs on trapunto quilting, and binding with piping. To download the Build your Best Log Cabin ebook by Fons & Porter click here. (You will be prompted to provide your email address before downloading the PDF file). In the meantime, if you have not entered this week's giveaway, click here for a chance to win a layer cake featuring Riley Blake Designs fabrics!